South Pacific Familyadventure 2008 - The only European Diesel Duck owners? Title: The only European Diesel Duck owners? Through Randal I got in touch with Eva and John Bird. They are the owners of a Diesel Duck 44 named Destiny since 8 years. Destiny travelled from China, over the Indian Ocean and up through the Red Sea (having headwinds of force 8-9 for a time but managing well). 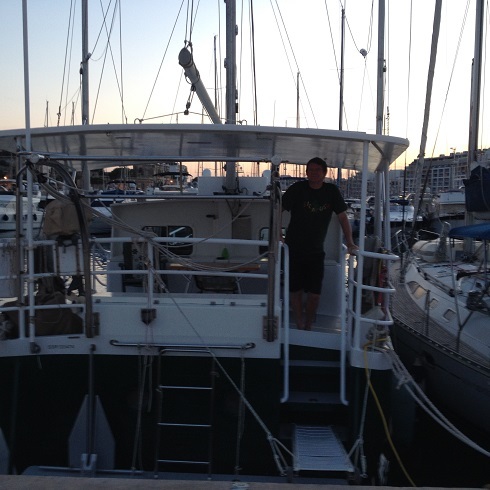 Eva and John have travelled all around the Mediterranean knowing the area well. They consequently revert to Malta and genereaously shared all their knowledge with me. 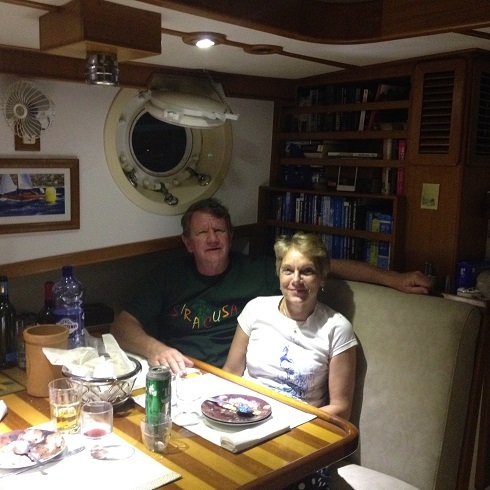 We had a drink onboard Dora Mac and dinner onboard Destiny to view each others botas. As far as we know we are the only Diesel Duck owners in Europe?